We can’t say we’re exempt—the Lord is calling us. 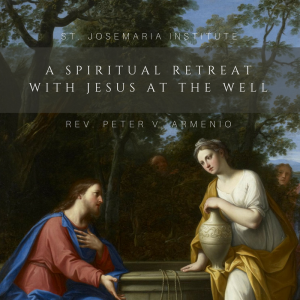 A Spiritual Retreat with Jesus at the Well is preached by Fr. Peter V. Armenio, priest of the Prelature of Opus Dei and former president of the St. Josemaria Institute.